Our holistic approach to energy gets you better systems and better efficiency. Multiple improvements working together to maximize your comfort. 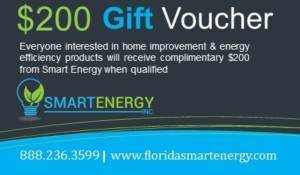 Energy efficiency is what we do for you. Before you take your next step, consider if you are properly maximizing the efficiency of your home. Just getting a solar system without doing some other essential steps could cost you thousands more by acquiring a system that is too big for your home. The holistic approach from us at Smart Energy will determine the most cost-effective energy solutions for your entire home. With this approach, you can truly lower your cost of living. WE PROVIDE AMERICAN-MADE QUALITY, RELIABILITY AND DURABILITY- ONE OF THE BEST SOLAR PANELS MADE BY SOLAR WORLD, RIGHT HERE IN THE USA. $1,000,000 IN LIABILITY INSURANCE, WORKERS COMPENSATIONS & EMPLOYERS LIABILITY. WE TAKE CARE OF THE PEOPLE THAT TAKE CARE OF YOU. WE STAND BEHIND OUR WORK AND OUR PRODUCTS. OUR USA MADE SOLAR PANELS ARE WARRANTIED UP TO 25 YEARS. OUR SATISFIED CUSTOMERS AND RECOGNITION BY LEADING INDUSTRY EVALUATIONS SHOW THE PRIDE WE TAKE IN EACH AND EVERY JOB WE DO. Our mark is what we leave behind. Pride is visible in all that we do from the plans to the service and final product. Our goal is to optimize our renewal energy sources and pave a better place for our children for generations to come. Our systems are tried and tested. Our approach is new. All energy companies are not equal. We have a unique approach that evaluates the energy efficiency of your whole location to determine the best systems to use and where to install them. Our USA made solar panels have up to 30 year warranty and support American jobs.